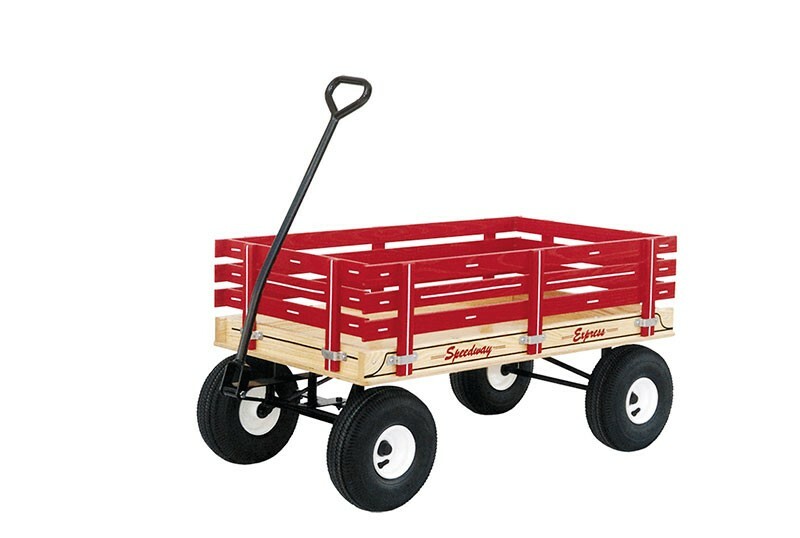 Amish Wagon Model 128, Speedway wagons are Amish handcrafted using strong hardwoods. The side rails are stapled and glued to assure a stronger bond. 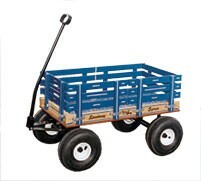 Wagons feature (no-tilt) Automobile style turn steering, ball bearing wheels and a welded heavy gauge frame. 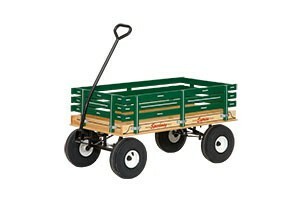 These wagons will handle heavy loads suitable for pleasure riding as well as for gardeners, farmers, contractors. Speedway Express wagons will give you and your family years of enjoyment, and will likely be ready for the next generation to enjoy. Select color options using the drop down boxes. Upgrade to an all poly recycled plastic box construction instead of the wooden box using the drop down boxes. 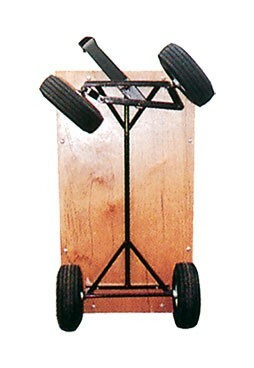 Comes with standard pull handle, an optional hand pull or tractor pull tongue is available using the drop down boxes. USA Made by an Amish factory that has been making quality kids wagons and trikes since 1962 in Lancaster County Pennsylvania. 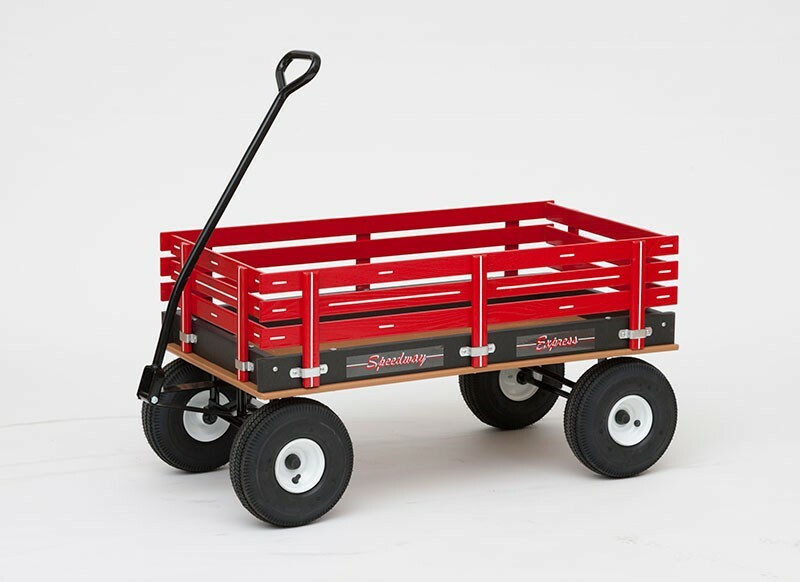 Wagons are built with strong hardwoods, heavy-duty welded frameworks and equipped with ball bearing wheels. Unlike the cheaper imported wagons, these are still built much like they were made in 1962 using thicker metals and hardwoods to provide generations of families years of enjoyment. 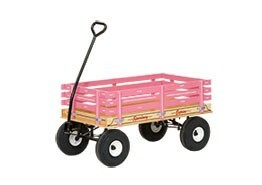 The poly box will hold the color and survive the elements if the wagon is left outside.